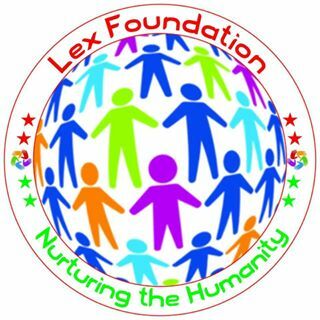 Lex Foundation is a community based Social Organization, run by Volunteers and supported by independent group of young social activists and humanitarians across the world united to promote the Humanity & Peace. Our vision guides all our activities and our all activities small or big are totally committed for human well-being. Our Vision is “Nurturing the Humanity & Peace to transform the World”. We are actively engages in promoting human welfare and social reforms, and we have no prejudice with human suffering on grounds of gender, sexual orientation, religious or national divisions. we strive to save lives, relieve suffering, and maintain human dignity. We work to defeat Poverty, Illiteracy, conflicts among people of different faiths or culture to establish the Peace by strategic interventions. Whatever we have been able to do so far is only because we got commendable support from people and communities where we worked or are working. We transcend these all dividing factors and honor everyone as Human Brother. We all want to help others in need. We all want to do something good for our society but we think of this aspect and then we get busy with our daily life. Our inner selves keep telling us to do something for the society or the community we live in but our personal responsibilities keep us busy making us not taking steps toward our social responsibility and our true inner voice. We at Lex Foundation would like everyone to realize that this is our social responsibility to serve our society, to help those who are less privileged, to protect the humanity from manmade factors which are disastrous to the Humanity and Peace. The moment we all realize our this social responsibility, we automatically start working on it. We urge people to get connected with Lex Foundation’s local teams in order to help them with the projects they are carrying out in your locality. We would like to extend thanks to everyone associated with Lex Foundation, our volunteers, members, people from local communities across the nations. We are committed to make a difference in the world. Together, we surely can make remarkable difference toward Human Transformation which will lead to the World Transformation.